“I was introduced to Gil through a mutual friend who started me on my primal therapy journey (Thank you Steve, I’d say without a doubt, you opened my eyes and saved my life). From the start I was brought up an in a household where we never talked about our problems. I had learned from observing my parents, and how they dealt with each other, that you don’t make a fuss. Who do I turn to when something was bothering me? I had learned to keep it to myself, ignore it, bury it, anything but actually deal with it. If something did come bubbling up to the surface, my parents would react unfavourably, you were either ignored, or beaten. I had trouble processing that at first, but over the years I just accepted it as that’s how you’re raised, and that’s how you deal with life’s problems. That behaviour was ingrained in my way of life. I kept it up, anything that bothers you, keep it to yourself, bury it. I convinced myself that it’s easier to run away from my problems, and I was afraid to question otherwise. What I didn’t realise was that years of emotional neglect were finally catching up. The coping mechanisms were starting to fray. I’d reached a breaking point. I’m so grateful that I have a loving sister who I was able to reach out to, which led me to go see my GP. I tried the GP’s approach with medication, and reacted quite negatively, but he also introduced me to Steve, and in turn my first primal therapy experience. I came in with basically no grasp of my emotions, I never faced my problems, never cried, but he helped me understand. I took to it like a duck to water, reading what I could find, and attending sessions. It was a rough but necessary start to work through the issues of my past. Steve then introduced me to Gil, the next step in my journey, and the plunge into an intensive. It didn’t take much to break the façade I had meticulously created to hide my pain. The years of emotional and physical abuse were slowly being unravelled, layer by layer. I found Gil was able to hit the nail right on the head, just at the right time to get me to those lower depths, to where the original pain would lie untouched. It takes an extremely patient individual to achieve this. Although overwhelming at first, through those sessions I learned how to process the raw emotion that was being released. I’d come away exhausted, but with a contemplative understanding of what was revealed. I’d say it was the hardest thing I’ve ever done, but also the most rewarding. I usually would come away from a session with something new, a new perspective, a new memory that had been buried for years. I felt lighter, for a moment I was unburdened. I finally felt like THIS is how you’re meant to feel! I wasn’t just existing. Other emotions also came to light. I finally felt a sense that I could be loved, and I could express love to others. It’s opened a new world I never knew existed. There’s still a long way to go, but I now have the ability to recognise something bothering me, how to reach the underlying issue and work through it, thanks to Gil. Love to hear from you. My life is very good – if I am allowed to rate. Off course there are ups and downs. However the understanding that comes from the insight is so amazing. I got lucky that I can interact with my children. They are still young and deep in feeling so they can force me to go deeper with their spiritual side. Very good bargain huh. I forgot to tell you that I stop taking drugs since January 2016, I am able to do a bit of therapy/self primal by myself, although it is getting harder. But I still feel happy because all I have to do is make “the connection” with the upwelling or in my term is “ the black water” that is coming from the basement. Sometimes the upwelling makes me struggle. But the understanding is the most important thing that makes me go forward. I commence working since July 2016. In my opinion, like 70% of my time I can think better than I was before I got my first breakdown. The rest 30% of my time is dealing with the nasty upwelling, making the connection (mostly at night and in the morning). 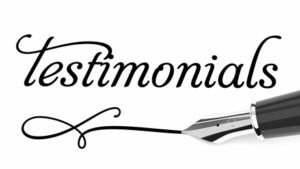 Regarding your work I am happy to make the following testimonial for you. (please correct the grammar or choice of words if you feel not right)’. Primal Therapy was the only way I could get through my depression. Before it seemed impossible to get past my mental sickness and be cured. I went to psychologists and psychiatrists and took pills. Since I did Primal Therapy with Gil Bates my life is much better and I do not take pills anymore. He guided me through dark and difficult periods using his skill as a therapist. His approach is very raw and natural. No medications and no cognitive concepts were used. Anyone with mental problems who has adequate time and financial resources without hesitation I would strongly recommend you to take the Primal Therapy path with Gil. The illness will never come back. After several relatively happy years in my life I began experiencing severe anxiety and depression. It got to the point where the anxiety stopped me from enjoying what should have been relaxing and pleasant experiences, and caused my stomach to knot for no apparent reason. After around 6 months of hoping things would get better I decided I had to do something to improve my situation. At this point beginning primal therapy was one of the hardest things I’d ever had to do, but also one of the best decisions I’ve ever made. I did this therapy with Gil for around 6 months, during which time he helped me immensely, and life became a lot easier. My anxiety slowly faded as I began to work through significant feelings. After a successful session I felt that I was really able to enjoy my day. After reflecting on life before therapy, even times I considered relatively happy, I believe the therapy has improved my life in areas I wasn’t aware needed improving. My only regret is that I could not continue the therapy for longer, and my plan is to return to therapy one day as I still have many feelings I would like to resolve. Gil is an excellent therapist, and primal therapy is the only therapy I would recommend which can truly heal. Before I had therapy with Gil, I had many years of supposed primal therapy spread over several decades at different centres. The therapy I had at these centres – the latest incarnation of which still claims to be practising primal therapy – had left me with many issues: alcoholism, a dysfunctional marriage lumbering towards divorce, and so many health issues that the medical profession had pretty much written me off. After less than a year having what I have now discovered to be REAL primal therapy with Gil, my alcoholism and other addictions have gone, my relationship is restored and deepening in value to both myself and my wife all the time, and my health – though by no means completely restored – has certainly begun to return. I never realised primal therapy could be so simple, straightforward and effective. Yes, feeling your painful feelings is extremely hard at times, but the process itself is direct and fundamental to the way I believe we are meant to live. What I had been doing before I now know to be nothing more than pretend feeling, abreaction, which is really nothing more than another, destructive defence system. Because even though the therapy practised properly is simple in theory, in practice it almost always seems to go awry in the hands of untrained, would-be primal therapists. It is so simple to do it properly, and so easy to screw up if you don’t know what you’re doing. 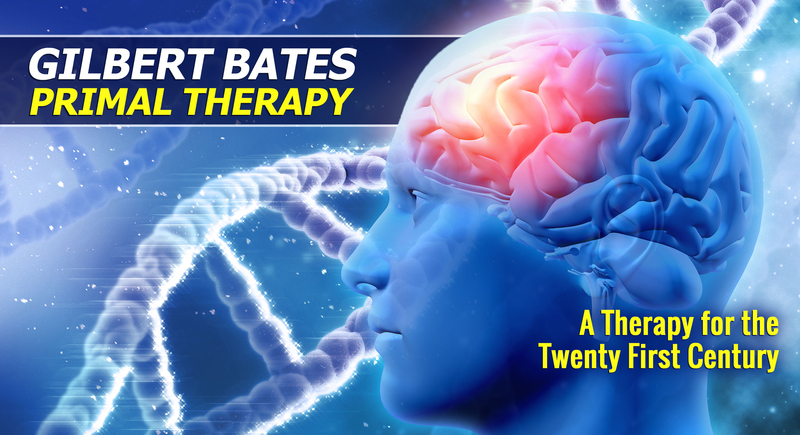 I have learned the importance of training: Gilbert Bates is a trained primal therapist, and the difference between what I have experienced with him stands in stark and liberating contrast to what I experienced in the past. I now have a growing power to live my life, feeling in the primal sense when I need to, and facing the future with a confidence and joy I never believed possible. Thank you Gil, I am forever in your debt.